While rumors surrounding Apple's purported 12-inch MacBook Air have died down amid Apple Watch hype, a new report on Wednesday claims partner manufacturers have already started mass production of the device in preparation of a second quarter launch. The new information was thrown in at the tail end of a The Wall Street Journal article regarding production of a rumored 12.9-inch iPad model. Citing unnamed sources with knowledge of Apple's operations, the publication said the company plans to release the anticipated 12-inch MacBook Air "in large quantities" in the second quarter of 2015. An exact date wasn't mentioned, but with Apple Watch coming in April, Apple could be planning a debut at this year's Worldwide Developers Conference expected to kick off in June. As for current progress, sources said Apple suppliers have already started mass production of the thin-and-light and are building stock for shipment. Today's report runs counter to predictions from well-informed analyst Ming-Chi Kuo, who in January forecast Apple's 12-inch MacBook Air to launch before April. In February, AppleInsider learned that Apple gave its distribution partners the green light to reduce prices on current 11-inch and 13-inch MacBook Air models. The inventory pruning measure is usually applied in the weeks leading up to a new product launch or refresh. Not much is known about the supposed 12-inch MacBook Air, but rumors point to a high-resolution Retina quality display and ultra-thin form factor. 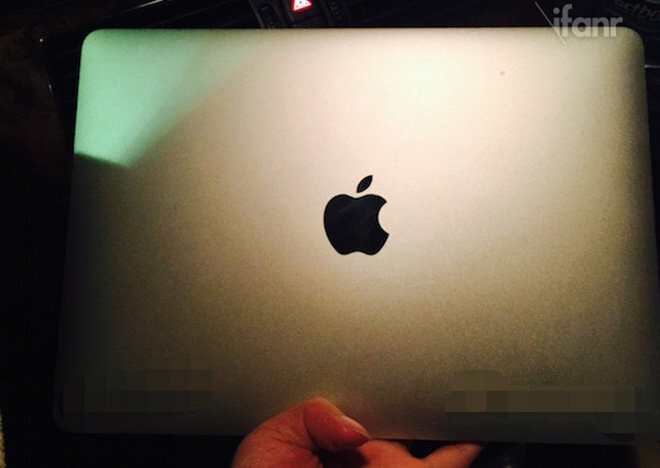 Photos of what was claimed to be a fully assembled display hit the Web in January boasting a "polished" Apple logo, a departure from the glowing version seen on current MacBooks.